It was a hot summer day at Nagsasa Cove. The sun was scorching hot, and the land emanating heat from below. The soil was cracking and the spots with usual pools of water, dried up. 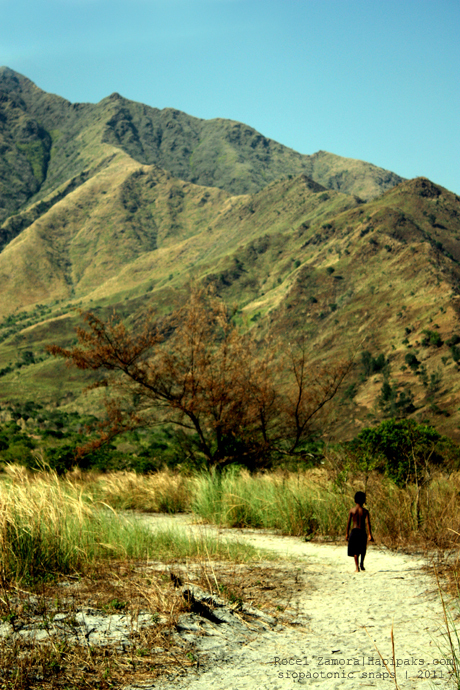 It was just the start of our trek, but while we were complaining and stopping every now and then to rest and seek shade from the blistering heat of the sun, there was this Aeta boy ahead of us, walking barefoot with no shirt to protect his skin, walking as though on cool marble floors. Then, who wouldn’t be comfortable in a land you consider home?